A giraffe's neck has the same number of vertebrae as a human spine. Over millennia, it has lengthened to enable the animal to reach a tree's highest branches. 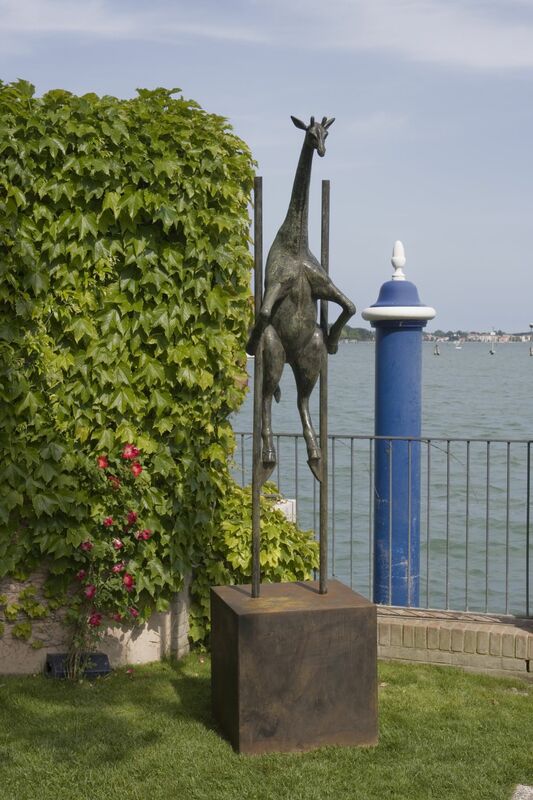 Ever ambitious, this giraffe balances on a pair of stilts, taller than ever before.